Here are our top five picks for ultramarathon events in the UK to look forward to in 2018! We picked top events for each of the five difficulty levels: beginner, intermediate, advanced, expert and brutal. This is a 35-miler across the wonderful island of Tiree in Scotland. The breath-taking views and great support will make this an amazing experience for a first-time ultramarathon. Navigating is easy, the terrain is challenging enough, and there is a celebratory Ceilidh in the evening. If you are looking for the race to open your 2018 ultra-running calendar with, this is the one! You will be running a 31-mile loop around the lovely Trent. It’s pretty flat, which makes it ideal for rookies. 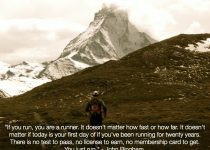 The majority of the entrants are first-time ultra-marathoners, so you’ll get a great deal of support from other runners to help you keep going. 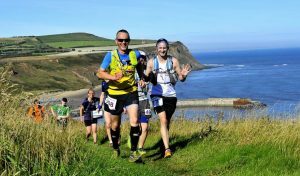 Hardmoors is a 62 miles coastal race to be completed in 18 hours. 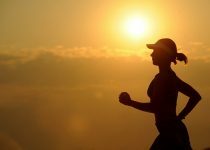 You will be running along the Cleveland Way, from Guisborough all the way to Filey. Since it takes place in the north of England in September, expect rain and cold winds to make an appearance. Nevertheless, it’s a beautiful route with amazing views to motivate you when you’re at your lowest. Time to start training if you want to get ready for this epic 135-mile coastal lap around the Welsh island of Anglesey. This brutal three-day race is up there with some of the best routes in the world. Traveling along the rugged paths in the area of outstanding natural beauty, you will encounter stunning views as you run. However, the organisers warn that “it will be harder than you ever could have imagined”. This notoriously difficult trail runs 147 miles between the Humber Bridge in North Lincolnshire and Oakham in Rutland. It is a multi-day, no-sleep event, and you are expected to be pretty much self-supported, because there aren’t many food stops. Also, GPS is not allowed: you need to learn how to use map and compass. If you don’t make it in 40 hours you don’t get a medal or finishing time. Last year only seven runners made it in time. And to top it all, to even qualify you need to have completed at least one 100-mile non-stop race. But it’s worth it, for the feeling you will have if you finish is truly glorious.